Welcome to IGNOU MS-52 Solved Assignment 2015 download section of myignou.in. 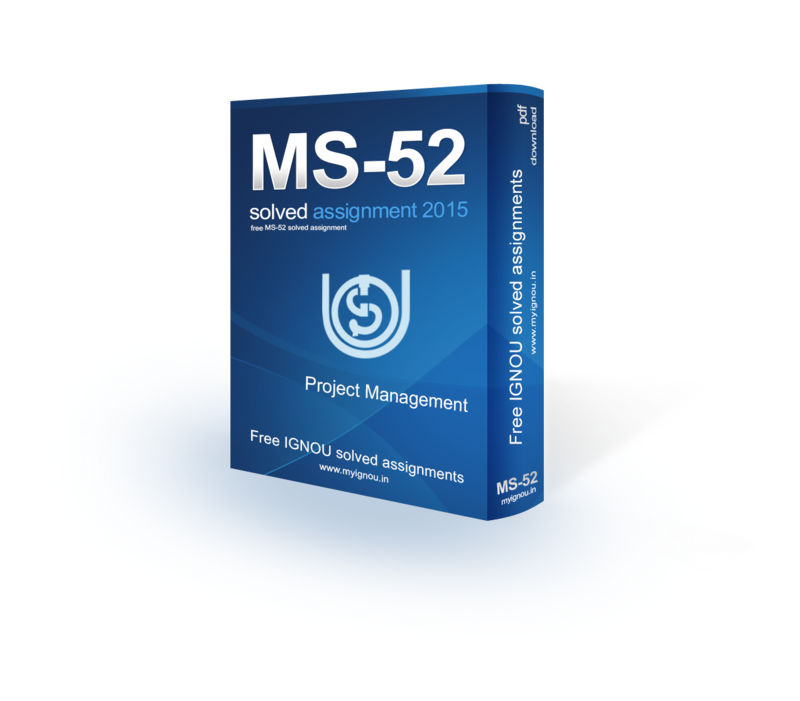 Here you will be able to download IGNOU MS-52 (Project Management) Solved Assignment for (January - June) 2015 session for free exclusively on this website. To get other solved assignments like our facebook page. Q1. Distinguish between project and production management, giving examples. What, according to you, are the critical success factors in project management? There will be a crossroad, at some point, when every contractor must evaluate the direction of the business in order to begin the growth of the company. This crossroad will define the company’s management, and how current and future projects are being contracted and completed. This article will help define the differences between two models, Project Management and Production Management, to better understand each and explain the benefits and pitfalls in detail. The Project Manager model, by name, indicates the management function. The Project Manager is, in whole, the responsible individual for procuring the work, bidding, manpower, subbing, cost management, purchasing, etc. 1) A job without proper management could become problematic overnight. This situation is avoidable through good planning and support from executive management. 2) Severe changes in workloads, going from high levels to low levels, or no work at all. While the Project Manager was unable to sell or bid projects during the high work load period due to managing the work, the “Peak and Valley” syndrome will dominate. This is not to say all Project Managers operate in such a manner. These scenarios exist and work well, provided the executive management plays a role in defining the needs and having the capability to cope during the valley segments. The Project Manager must be able to manage time very well and keep compliant with schedules and manpower requirements to meet production goals. Share "Download MS-52 Solved Assignment 2015"
Share this page (Download MS-52 Solved Assignment 2015) to let others know about it!